From Long Island community theater to Broadway, find reviews, previews and more theater buzz by Newsday's critic, Barbara Schuler. 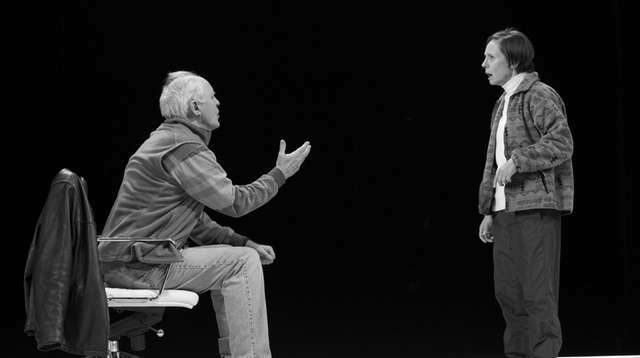 While making no effort to emulate Hillary Clinton in looks or voice, Laurie Metcalf gives a finely nuanced, thoughtful performance in Broadway's "Hillary and Clinton," with John Lithgow as Bill Clinton. Broadway's "Hadestown," set in a timeless New Orleans jazz club, updates the myth of Orpheus and Eurydice with glorious music boasted by spectacular performances. The annual "Stars in the Alley" concert in the Theater District's Shubert Alley happens May 10 and will feature performances from the casts of "Ain't Too Proud," "Beetlejuice," "Be More Chill," "The Cher Show" and more Broadway hits. Keri Russell makes her Broadway debut in Lanford Wilson's "Burn This," but it's the performance of Adam Driver that gives the show its intensity. Will Northport's own Patti LuPone return to Broadway in an all-female version of "Glengarry Glen Ross"? The Broadway veteran said in an interview that it may be happening next season. Billy Crystal hopes to bring a stage musical version of "Mr. Saturday Night" to Broadway. A workshop of the show is planned for May. Ben Whishaw transforms into Marilyn Monroe in the perplexing "Norma Jeane Baker of Troy," which also features the singing of Renée Fleming. Argyle Theatre extends "The Producers" for an extra week. The show will now close April 27.